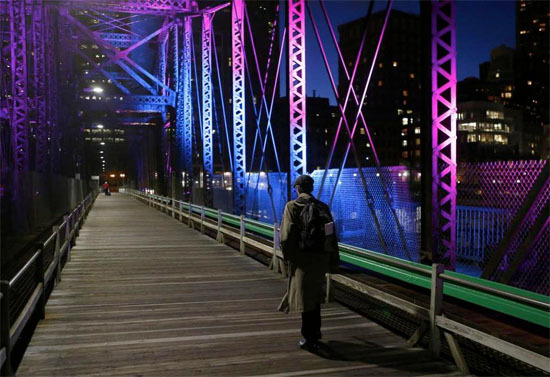 The Northern Ave. Bridge is closer to becoming a memory, once joining the Financial District to the Seaport. When it was built it would have been hard to imagine that it would come to connect two vibrant, non-industrial areas of our waterfront. 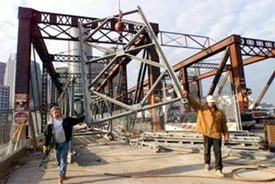 Let’s hope the city moves forward with a replacement to assist in the congestion of success that has occurred. 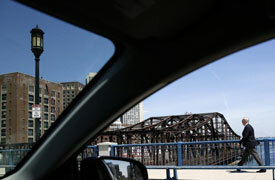 0	Will Boston Restore Northern Avenue Bridge? We need to continue to invest in our cities infrastructure to ensure we can service both the day time and bedtime communities. Simply put, without access people will go elsewhere. 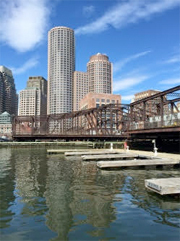 the sound you just heard was the unmistakable sloshing of preservationists paddling up Fort Point Channel coming to the rescue of a bridge that has long served as a historical gateway between the Financial District and the South Boston Waterfront. 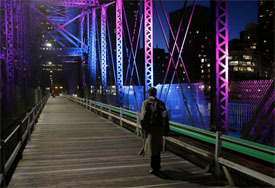 We may never get the tens of millions of dollars needed to restore the bridge, but at least we had fun dreaming about it.